/ Parents-Guardians / Parent Resources. Sometimes parents or guardians can be overwhelmed by the behavior of a juvenile offender or an at-risk youth. There are many resources available that can help both individuals and families. Below is a brief list of potential resources that might be useful to parents and guardians. Individual facilities may be able to provide parents and guardians with additional resources. 1(800)715-4225 http://www.mygcal.com The Georgia Crisis & Access Line is staffed with professional social workers and counselors 24 hours per day, every day to assist those with urgent and emergency needs. Those callers who need more routine services are directly connected with the agency of their choice and given a scheduled appointment. Not sure whom to call in Georgia? 1-800-Georgia (1-800-436-7442) is a toll-free service for citizens who are seeking state services but don't know who to call. The Call Center will connect callers to the correct government agency with their first call. Upon receipt of a call, the trained agent searches the state's KnowledgeBase to locate the correct service and phone number. The agent then connects the caller to the person or place responsible for the service needed. 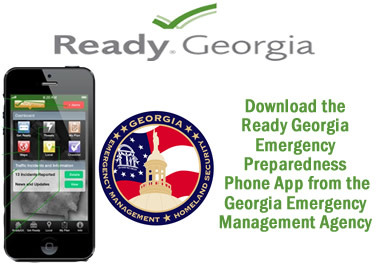 The goal is to improve customer service for all Georgia citizens by eliminating the aggravation of being transferred numerous times in search of information. (202) 467-8700 www.ncvc.org Provides referral services to victims and information on all issues dealing with the criminal justice system. 478.718.2099 www.georgiamentoring.org The Georgia Mentoring Partnership (GMP) is a coalition of public, private, non-profit and faith-based communities. Its aim is to serve as an advocate for the expansion of mentoring programs and a resource for mentors and mentoring initiatives statewide. With Communities In Schools of Georgia, serving as the lead agency, the primary objective of the GMP is to provide resources and services that will enhance all mentoring programs across the state of Georgia. (404) 487-5700 www.bgca.org Located in all 50 states, the Boys & Girls Clubs of America provide a safe place, caring adult mentors, fun and friendship, and high-impact youth development programs on a daily basis during critical non-school hours. Club programs promote academic success, good character and citizenship, and healthy lifestyles. National headquarters are located in Atlanta. (215) 567-7000 headquarters: www.bbbs.org Big Brothers Big Sisters makes meaningful, monitored matches between adult volunteers ("Bigs") and children (“Littles”), ages 6 through 18, in communities across the country and in chapters throughout Georgia. (404) 688-5100 www.100blackmen.org 100 Black Men of America, Inc., headquartered in Atlanta, seeks to improve the quality of life within our communities and enhance educational and economic opportunities for all African Americans and create environments where children are motivated to achieve. Chapters throughout the state. (770) 914-1076 www.georgiasheriffs.org Georgia Sheriff's Boys Ranch provides quality child care for Georgia's children who need counseling, residential care, camping, independent living and alumni services as they work toward a lawful, productive and secure future. (212) 509-2000 www.girlsinc.org Girls Incorporated is a national research, education, and direct advocacy organization that inspires girls to be strong, smart, and boldSM. Programs based on research gathered at the Girls Inc. National Resource Center encourage girls ages 6 to 18 to take risks and master physical, intellectual, and emotional challenges. Programs are offered through a network of 1,000 sites nationwide and are facilitated by trained professional staff. Chapters in Atlanta, Albany and Columbus Georgia. (404) 613-4741 www.truancyproject.org Works to prevent school truancy. The mission of Parents as Teachers is to provide the information, support and encouragement parents need to help their children develop optimally during the crucial early years of life. The Nurturing Parenting Programs are published by Family Development Resources,Inc. (FDR) which is headquartered in Asheville, North Carolina and has been promoting non-violent parenting practices since 1983. These programs are evidence based programs recognized by SAMHSA and the National Registry of Evidence-based Programs and Practices (NREPP). The Massachusetts Children's Trust Fund created One Tough Job to support parents by providing them with current, reliable, and practical information on a variety of parenting topics related to raising children from infancy through adolescence. www.kidshealth.org KidsHealth provides families with accurate, up-to-date, and jargon-free health information they can use. Positive Parenting provides parent education classes, parenting workshops, in service presentations and consultation to parents, early childhood education centers, schools, churches, businesses and others who provide services for parents and children. Get emotional support from a trained Advocate and become empowered and a stronger parent. www.cdc.gov/parents The CDC's Parent Portal offers a wealth of information from across all of CDC, covering everything from safety at home and the community to immunization schedules and developmental milestones. www.connectwithkids.com Connect With Kids provides a community for parents and educators to obtain resources on how to connect with children and talk about important issues. Connect with Kids also creates videos on issues affecting your children. Juvenile Resource Statistics Association and the Department of Human Resources Division of Mental Health, Developmental Disabilities, and Addictive Diseases, Both websites provide glossaries of commonly used acronyms and abbreviations related to juvenile justice and mental health.